Ron English made our 25 Most Important Artists Of 2011 list, and his work in 2012 has landed him on this latest one, too. Most notably, his toy collaboration with Chris Brown, Dum English, made the art world notice how effortlessly he's been able to collaborate at such a high caliber. What made bigger headlines were these photos of English and Brown painting the Star Skull Astronaut together in L.A., which was sold for $40K. 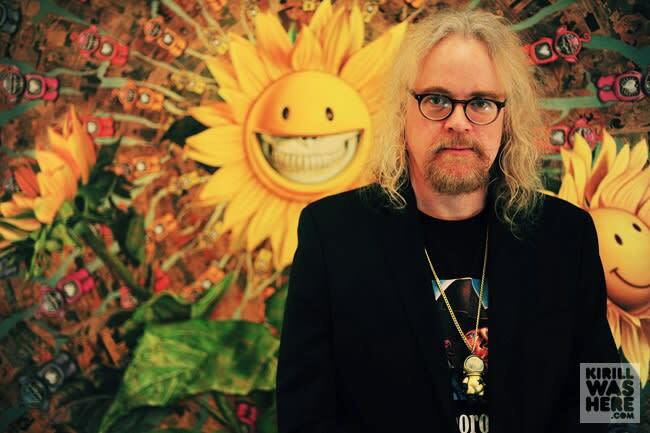 While we are longtime admirers of Ron English and his prolific career, this collaboration definitely catapulted him to the forefront of art and culture, and will likely continue to.